We have a quick heads-up for you now with some important Minecraft PE news. Mojang has just sent out word that the Minecraft PE 0.10.2 release date on iPhone is coming very soon. 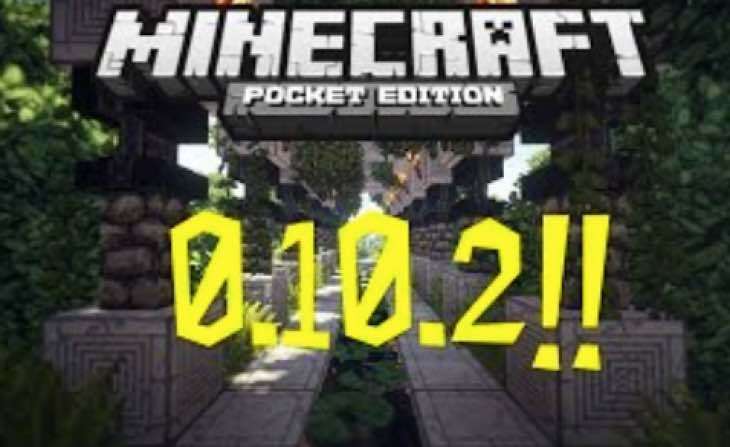 The Minecraft PE 0.10.2 Android download is already live, with the developers wasting no time in deploying two quick updates from the main 0.10 update to fix bugs that have been found. Once again though, it is Apple’s App approval system which is holding up the release of the next version for iOS users, but Mojang will be doing their part over the weekend. 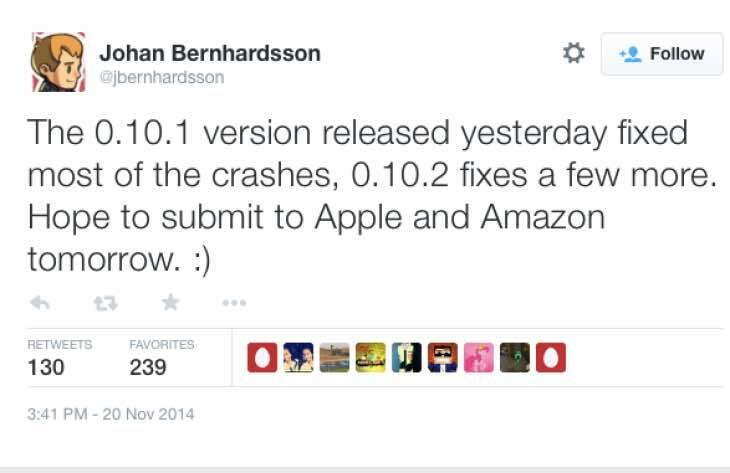 Developer Johan Bernhardsson has left the following message on Twitter, confirming that both the iOS and Amazon Minecraft PE 0.10.2 updates are being submitted on Friday. Hopefully this should mean that the updates will hit users at some point next week, assuming that no problems occur during the approval process. It’s great to see that Mojang are not wasting any time and are devoted to improving the game frequently. After the long build up to 0.10.0, they could have taken a break, but even now we are already on 0.10.2 just days later. 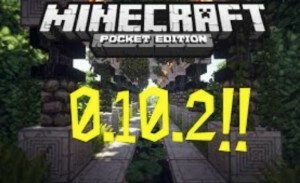 As an iPhone user, are you waiting to download Minecraft PE 0.10.2 as soon as possible? If you are already playing on Android, let us know what bugs you have spotted.